Posted June 27th, 2011 by Rachel Hammond & filed under Uncategorized. Sorry I am a few days late with the blog this week, I have been away for the weekend with Alison, enjoying the sunshine! 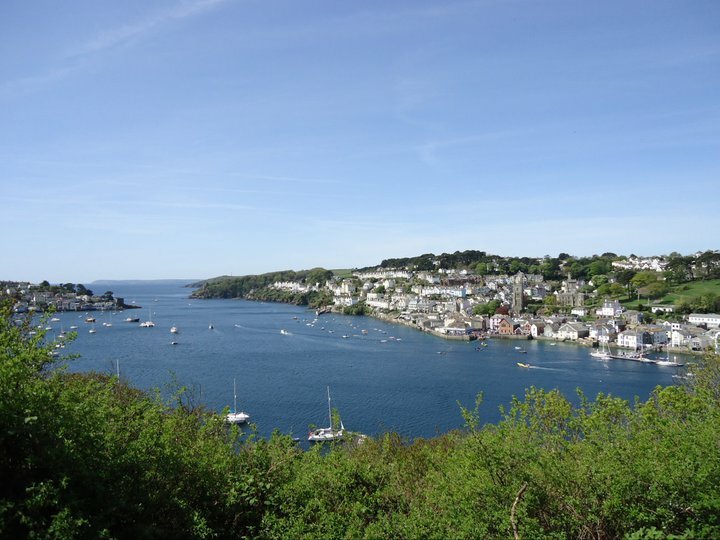 It has been lovely and sunny here in Cornwall, and we are hopeful it might be here to stay (fingers crossed!). Last week we extended the chicken run, we now have a Pekin run too. The Pekin chicks are growing up so fast, I have built them their own run so they don’t get bullied by the bigger chickens. However for the time being I have Heidi & Alison’s new chicks in the new run. They have a make shift house, but they were desperate to venture outside, so we had to move them from the stable they were in. Jemima the duck is quite a character. The smaller chicks cuddle her to keep warm! Friday saw the arrival of our latest business venture. 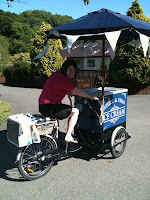 Well I should say Heidi’s business venture- an old fashioned Ice Cream Tricycle – it is quite a sight! I have included a picture of her going around River Valley. 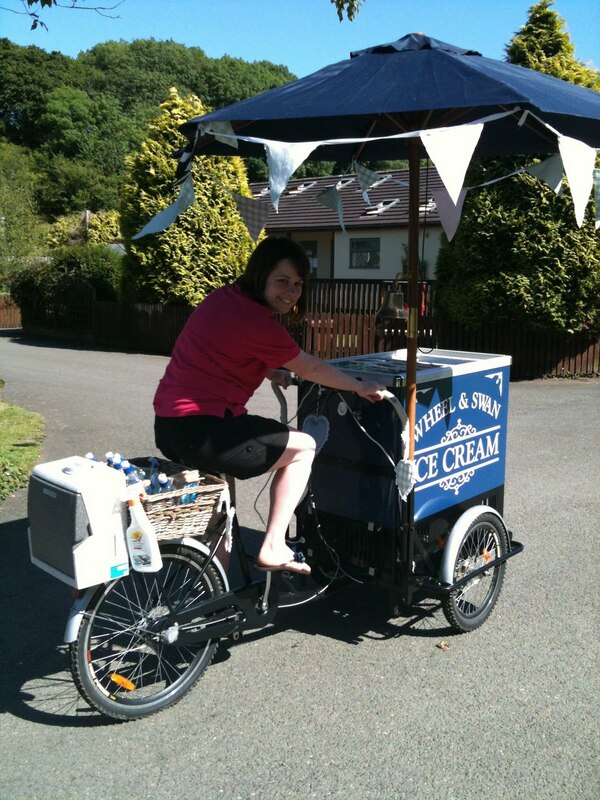 From next week Valley’s Ice Creams will be on the cycle trail between London Apprentice and Pentewan – so do pop down and sample some of the lovely local ice cream! This really is such an exciting time of year, everywhere you look there is another Cornish event on. However you can’t beat a good walk when the sun is out. My favourite walk is through Luxulyan Woods, sheltered from the sun I am quite often the only person around. 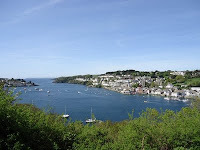 If not there is the Hall Walk starting from Fowey and walking the opposite side of the harbour, the views are stunning, and the cup of tea and slice of cake are a well earned treat at the end!